Strong frames are needed to support the weight of fruiting vines. T-bar trellises have rows of posts set into the ground 5–6 metres apart, with a cross-bar at the top. 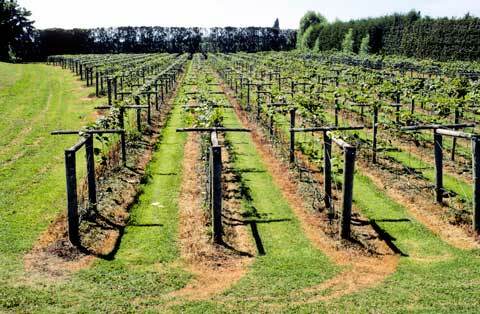 Vines are trained along high-tensile wires attached to the cross-bars.